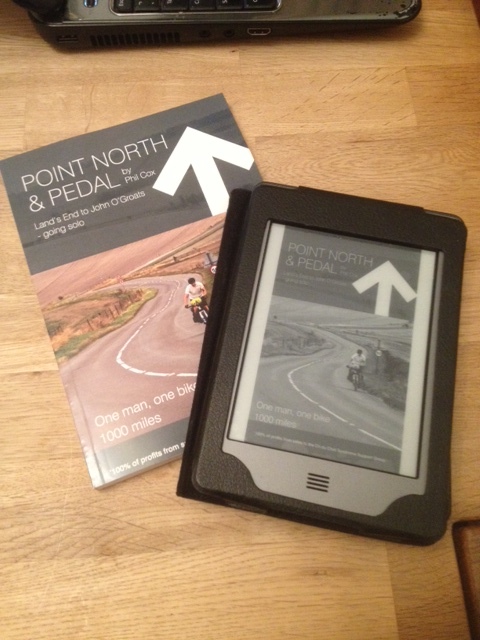 Home / Cri Du Chat Syndrome / Finally, the Kindle version of Point North and Pedal is here! It has been an interesting process getting the book onto Amazon especially around the tax side of things. I outsourced the book formatting to make sure that the reading experience was of professional quality. I would have spent hours tinkering with the format trying to follow Amazon’s rules etc. but for the sake of a few quid it would have been time wasted. If you buy a paperback, all of the £6 cover price goes to the charity, if you download, approximately £2.38 is generated as a royalty. If you have already read the book, please consider leaving an honest review on Amazon, every click helps! For now, the novelty is still fresh and I am glued to my Amazon download report!